Version control is integral to an organized project, but it’s not always the easiest task. In fact, if not managed correctly, it can easily turn your project into a nightmare. Many people will handle your project documents many times from its first iteration to its final one. If you’re not proactively managing the progress of the project, it could easily slip away from you. You know the drill: search, download, work, upload, repeat. And if that’s not enough, you must reconcile change requests, keep track of significant changes, and communicate updates in a timely manner. But it doesn’t have to be that way. The current versioning process in regular file sharing software solutions is prone to human error. Some of your team members may only want to review working files to markup a small section of the model, leave a comment, or download a file to show a colleague. It’s not only tedious to download and re-upload minor changes, but also confusing if file versions are not numbered correctly. When uploading a file after making changes, it’s common to forget to address change requests in the previous version or the folder location. This all adds up to serious work interruptions down the line. What if actively controlling versions wasn’t something you had to manually do? What if it was easy to leave markups and comments in your browser? What if it was possible to know with 100% confidence that you are working in the most up-to-date file by default? This is how BIM 360 Team users feel every day: confident they’re always working on the most current version, and secure knowing they can access older versions easily when required. Comment and markup files, which eliminates countless iterations, so you’re making more impactful changes before you upload a model version. Visually compare how the model progresses with every version, to see how your concept sketch turns into a full 3D BIM model over time. Clearly see major additions and deletions, which serve as reminders to ensure these changes are applied consistently throughout the model. The ability to manage access and user permissions, allowing the team to see model information in the right context, no more, no less. First, open the Revit model or CAD drawing that you update with changes. Then, click on the version number to see a drop down of version history and launch the ‘Compare versions’ button. Every time you update a drawing or model, you can easily track changes and change types between versions with the version compare tool. You can view additions, deletions, and modifications in your models and drawings—this feature is not limited to 3D models alone! 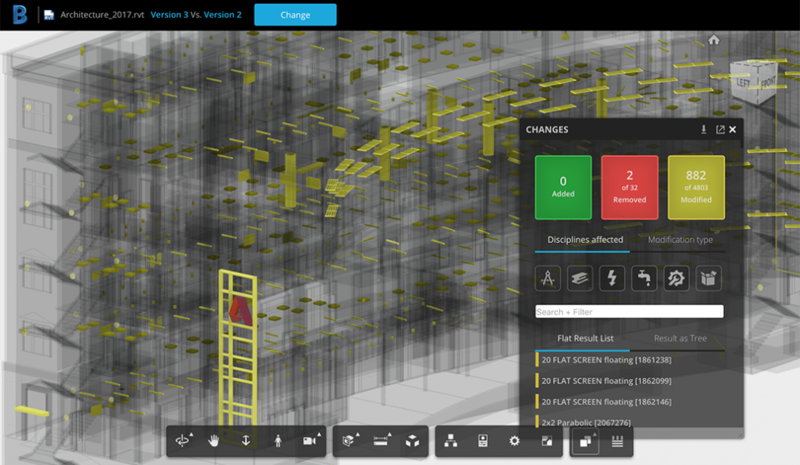 BIM 360 Team’s version compare feature easily shows model or drawing components that were added, removed, and modified. 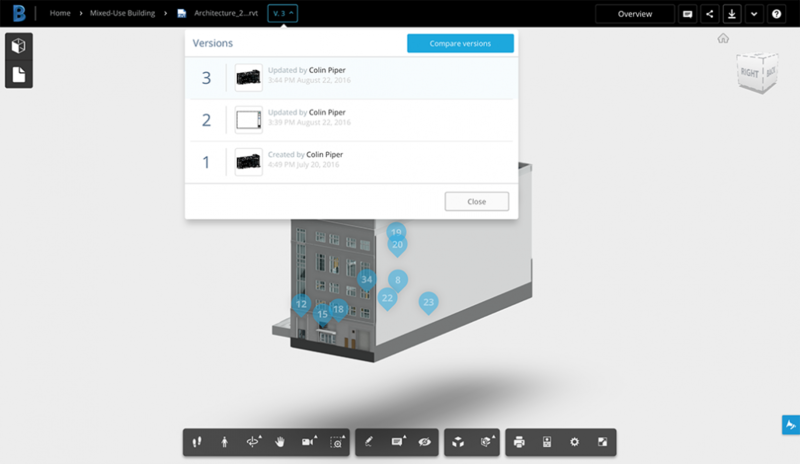 To learn how to make version control work for you, visit our help forums or the BIM 360 Team Knowledge Network. 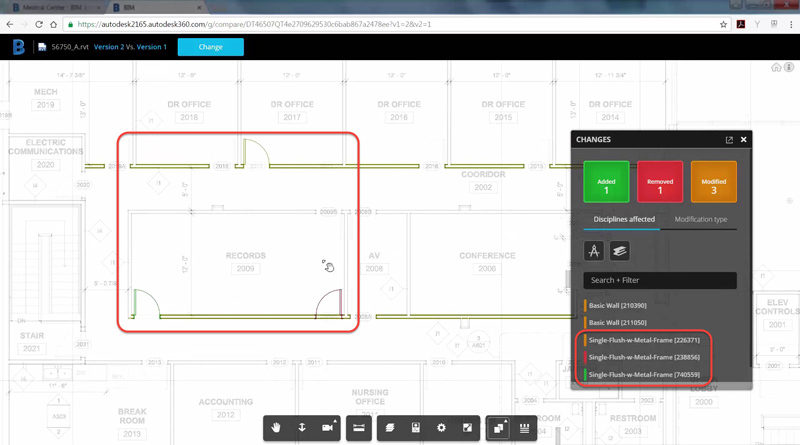 Sign up for a FREE trial today or learn more about BIM 360 Team’s other time-saving features. 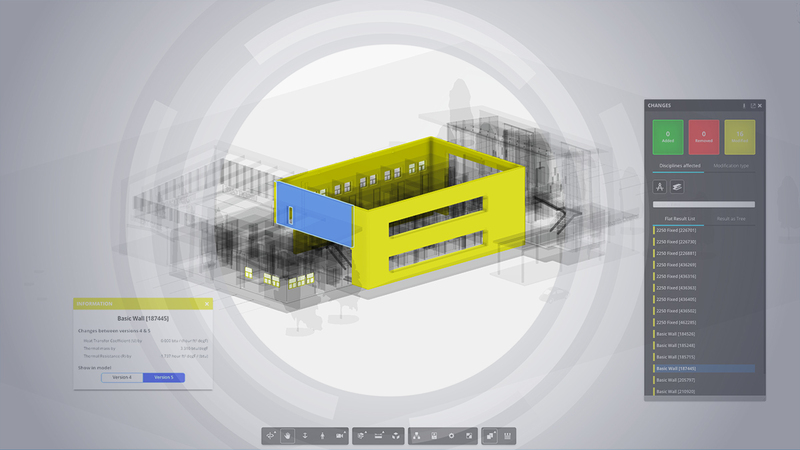 *BIM 360 Team was formerly known as A360 Team.